By train: with the Kiev railway station to the station "Aprelevka" (time path 50 minutes), then walk 2 minutes to the SRC "Melody". By taxi from: by subway "Yugo-Zapadnaya" (the way time 30 minutes). On a personal AVTOTRASPORTE: Kiev highway to the city of Aprelevka. I section Reg: 9 a.m.-10 a.m. Start: 10:30 a.m.
II section Reg: 11:30 a.m.-12:30 p.m. Start: 1 p.m.
III section Reg: 3 p.m.-4 p.m. Start: 4:30 p.m.
IV section Reg: 5:30 p.m.-6:30 p.m. Start: 7 p.m.
You're a little bit before the New Year. Everyone is waiting for the holiday, and make "pre-orders" Santa Claus. We are pleased to inform you that at the VII New Year Cup, interregional Cup RTS "Snow Mosaic 2015", which will be held on 19-20 December 2015, the sports complex "Melody" (Aprelevka), among the participants of the tournament will be played on 2 bikes our partner - the largest network of cycle shops - VELOSAITE (www.velosite.ru). Every day, in the evening division of the tournament, will be determined by lottery lucky ones who will take away with a valuable prize. By registering in more categories, you increase your chances to win a prize. Heads of schools of dance! Have you ever received a prize for the victory of your students? For the first time you have the opportunity to receive 10,000 rubles, if the students of your school will occupy the 1st place in the overall standings among dance schools at the Open Championship of Dance of the National Dance School League, will receive 7,000 rubles head of the school of dance, took 2nd place, 3000 rubles - 3 place. On Saturday, December 19, 2015 are waiting for you and your school. 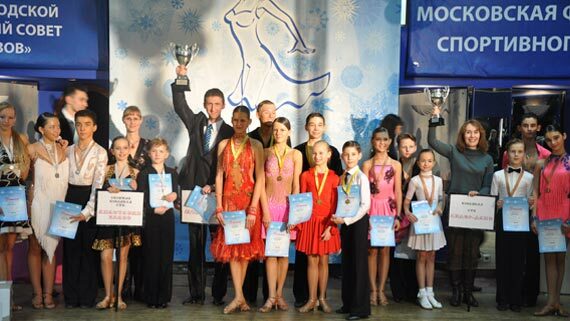 Prove that it is your dance school - the best! Dear friends! On the eve of New Year's dance club "Mosaic" National Dance League again holds traditional New Year Cup VII "Snow Mosaic 2015"! We are pleased to invite you to participate in our festival, because thanks to all of you - the people who have become part of our lives - we will again try to create a warm welcoming atmosphere on the eve of the most beloved and all the expected holiday. On Saturday, December 19 almost the entire day will be devoted to our future - the younger generation of dancers who are taking their first, tentative steps on the dance floor - soloists, pairs, the duo teams and school dances. Children will be able to show their skill in scoring competitions and compete with each other in the championship of the individual dances for the right to get a cup of the winner. Separately, it should be noted Championship of dancing hip-hop among soloists and teams. This dance is always a storm of emotions of both participants and spectators. Three leaders of the best dance schools will be awarded a cash prize. 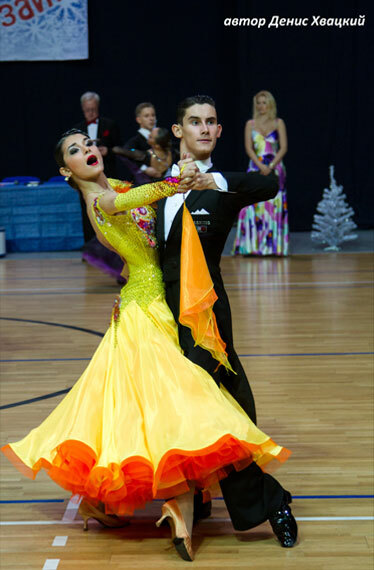 In the evening we will see the department experienced dance duo, who will take part in the Interregional Cup RDU program of ballroom dancing. On Sunday December 20 the entire day - Interregional Cup RDU. 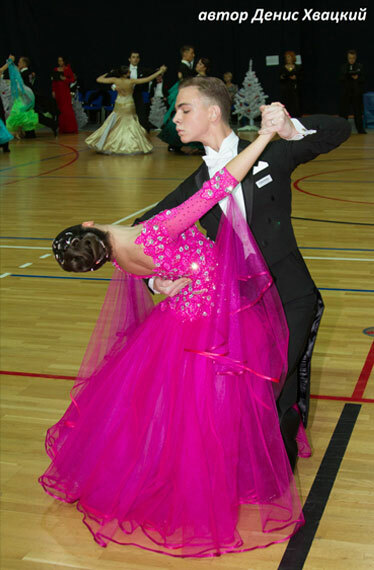 For the convenience of our young, but experienced dancers and their parents, we made it so that 1-Juvenile, Juvenile and Junior-2-1 compete in programs of ballroom and Latin dances in a single day. The evening classes their senior colleagues will continue to compete in the Latin program. Both days the participants of the rating groups can take part in the Cup of individual dances. You have temporarily no partner? Maybe your the Lady went to the grandmother on the weekend of 19-20 December 2015, and you really want to dance? There is a way! Invite a friend for the weekend dancer to participate in the New Year Cups of individual dances. They will be held outside the official competition, so you can dance one dance with one partner, and another dance with another. Only the joy of dance, the opportunity to dance in the absence of "his" partner, the opportunity to win the cup, and maybe all of a sudden you're lucky, the bike in a lottery, fun New Year's Eve, give your positive mood around friends - that's our purpose of New Year Cup for individual dances! Register with your partner / partners for the tournament "Snow Mosaic 2015" on this site, to test your luck! Suppose that in the days of the festival will rest and enjoy every moment. We are always happy to answer all your questions. Thank you for being with us, and good mood!